Carradine had an unstable childhood. This instability continued throughout his life. He married five times. He was frequently arrested and prosecuted for a variety of offenses. He died on June 3, 2009. 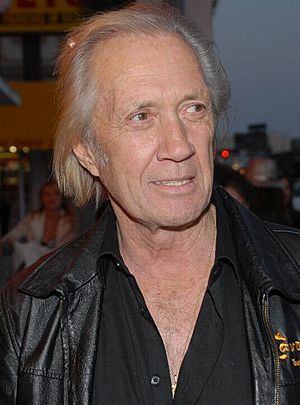 David Carradine Facts for Kids. Kiddle Encyclopedia.